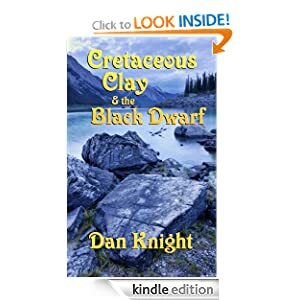 Jack Clay hunts a warlock who escaped from hell by possessing an innocent black dwarf. Jack entertains thousands in the Circus, and he lives in Babel Tower high above Nodlon. Half-elf, and half-human, Jack is the only magical being in the Solar System. Surrounded by flying cars and high-tech, finding a useful market for a magic talent wasn't easy for a man who is neither biot nor human. Nodlon is not a paradise for non-magical biots! Biots work jobs no one wants to pay for, and Evan Labe is a biot. Evan is a black dwarf: a short person with a black chip in his forehead to keep him in his place. He dreams of a better life, but how will he find it? Tempted by an infomercial, Evan falls into a trap. Nimrod once ruled the fertile crescent with an iron fist and a reign of terror. Now, he takes Evan's body, and he returns to Earth! This time he raises an army to conquer the Solar System! Soon an epidemic of missing dwarves plagues Nodlon, and the trail leads to murder and a mysterious Black Dwarf. Freedom must wait! Jack must hunt a foe with powers from beyond this world and stop him before it is too late. Will Jack save Nodlon? Will he stop the Black Dwarf? So begins the strange and quirky odyssey of Cretaceous Clay!